The highly anticipated Galaxy S10 series is in the pipeline of rumors for many months. A lot of leaks and rumors had been swirling around us about this upcoming series. Recently, a leaked image surfaced on Twitter. According to that, Galaxy S10 Pre-orders will start from Feb 22 in Indonesia and on Feb 21 in the West. 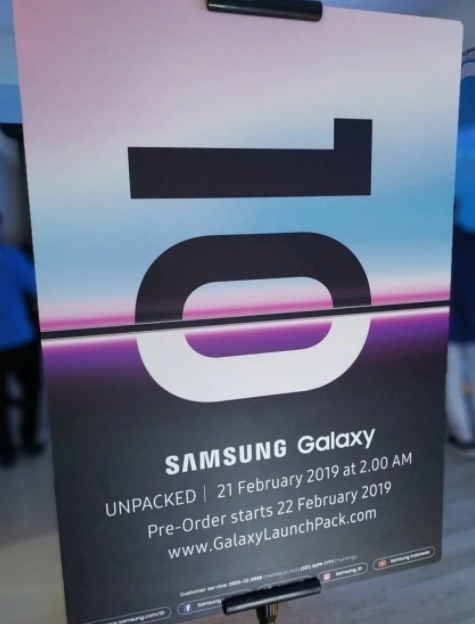 According to the latest reports, Galaxy S10 will debut in Indonesia on Feb 21 and the pre-orders of the smartphone will begin on Feb 22 in the country. However, the phone will go official on Feb 20 in the West. So, it is expected that its pre-orders will start on Feb 21 in the West. Let’s have a look at the leaked image. The Galaxy S10 series will consist of three smartphones that will be Galaxy S10, Galaxy S10+, and Galaxy S10e. The pre-orders of all three handsets will start on the same day. According to the previous reports, the Galaxy S10E will feature a 5.8-inch display. The phone will have single cameras at the front and back. On the other hand, the regular Galaxy S10 will feature a 6.1-inch curved edge display with a punch-hole camera at the front and two sensors at the back. The upcoming Galaxy S10+ will feature a 6.4-inch display with two punch hole cameras at the front and a triple-camera setup at the rear. 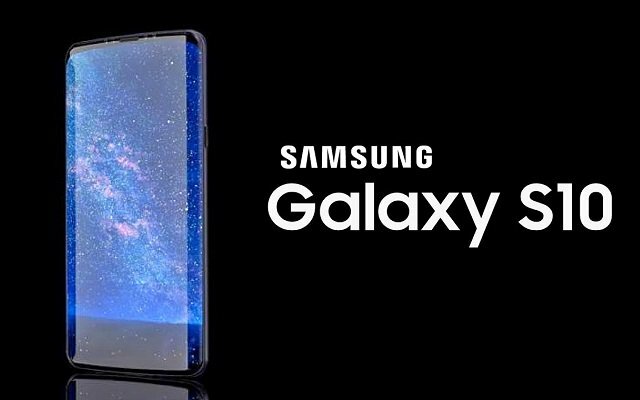 Moreover, all three models including the Galaxy S10E, Galaxy S10, and Galaxy S10+ are expected to be equipped with a 3100mAh battery, 3500mAh battery, and a 4100mAh battery, respectively. However, the 5G enabled version of the Galaxy S10 will reportedly carry a massive 5000mAh battery. Moreover, an extra camera introduced in the plus model by Samsung will be able to bring the Galaxy S10 series somewhat closer to Apple’s advanced Face ID technology. So, let’s see what new features Samsung offers in its highly anticipated series.